Monday, my campaign reached a milestone. I officially qualified to run for State Senate 40, Georgia’s most flippable Senate district! The primary will be May 22nd; the general, November 6th. I’m ready for a very busy 2018! I’ve missed being a part of public service in the legislature, and I’ve been preparing for this moment for a very long time. 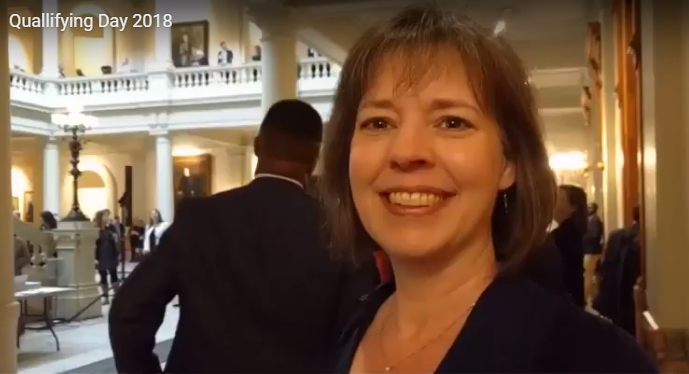 I’ve studied public policy, worked as a nonprofit executive, served three terms in the Georgia House, and lived and raised children in my local community. For the past year, I’ve been building the grassroots infrastructure needed to launch a campaign to reinstate effective, compassionate, and inclusive governance in our state.